[ UFsensitivity ] achieves high-sensitivity performance utilizing a new heated ESI probe and new UFsweeper III collision cell. [ UFswitching ] high-speed positive/negative ionization switching and high-speed MRM [ UF-MRM ] maintain data quality and sensitivity. 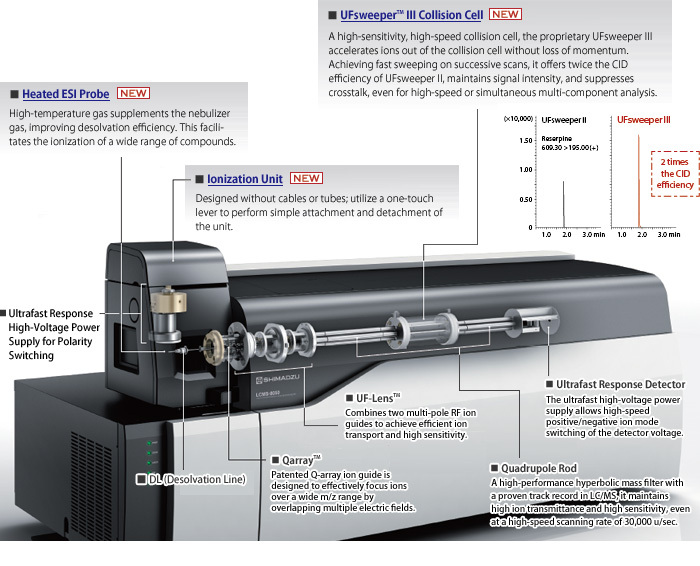 [ UFscanning ] high-speed scan rate obtains high-quality mass spectra, even during high-speed analysis.